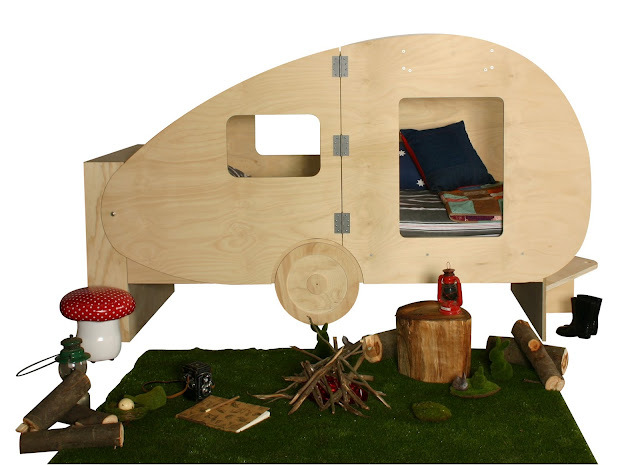 Happy campers will fall in love with this cute-as-a-spotted-toadstool Retro Caravan Bed from The Great Australian Shelf Company. We're betting hipsters parents will love it, too, due to the fact that it boasts both vintage and eco-friendly credentials: The bed is modelled on the caravans of the 1930s and '40s is made with sustainably sourced Australian hoop pine finished in Linseed or Danish oil or clear lacquer. Its spacious design incorporates a place to sleep as well as a creative area for kids to explore and enjoy. There is clever shelving, a door that opens for kids to climb through and a tow bar seat.